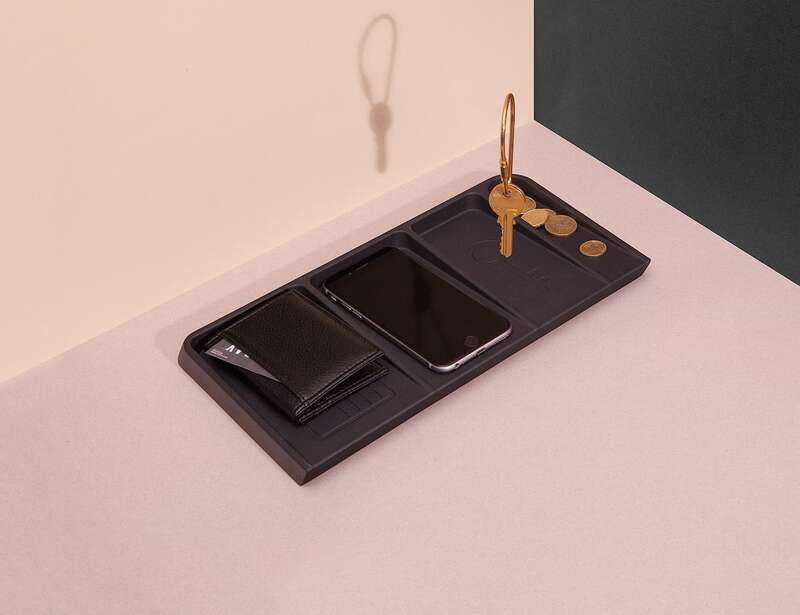 Easily empty your pockets when you get home with the Le Videpoche Metal Valet Tray, which is designed specifically for men. 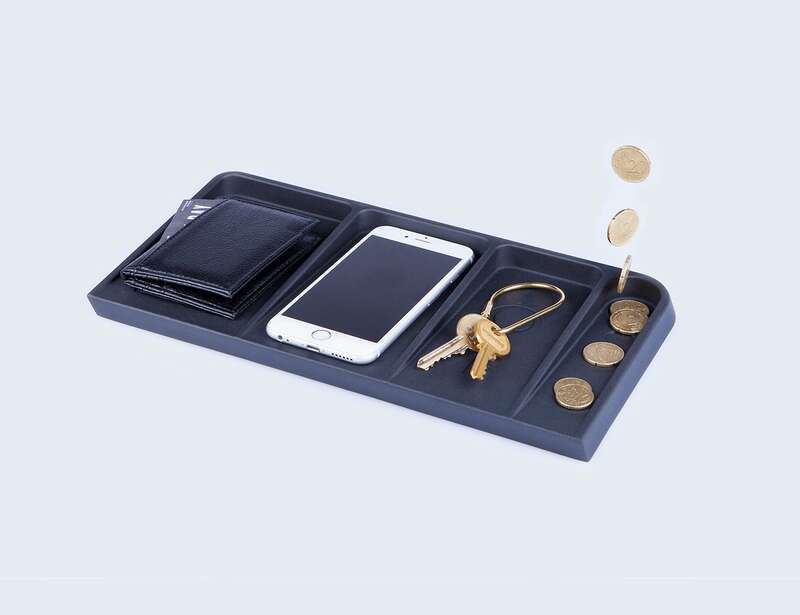 Easily empty your pockets when you get home with the Le Videpoche Metal Valet Tray. 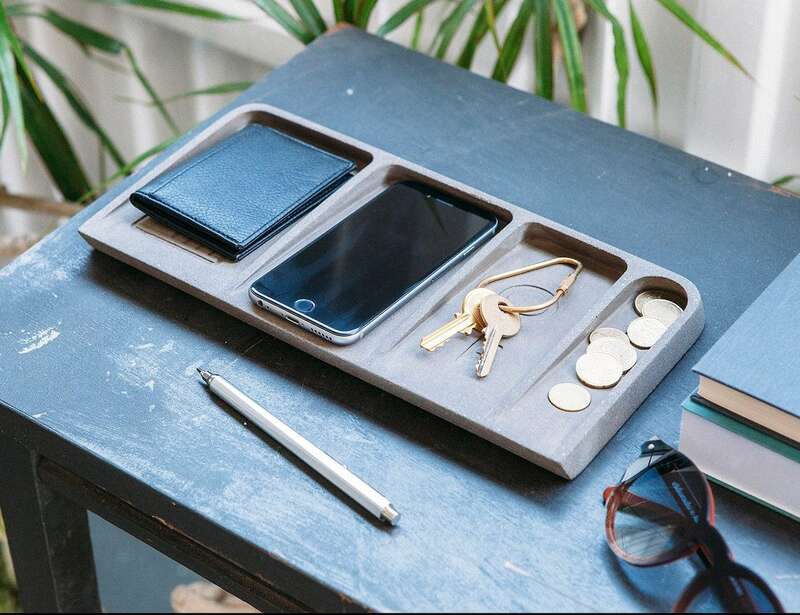 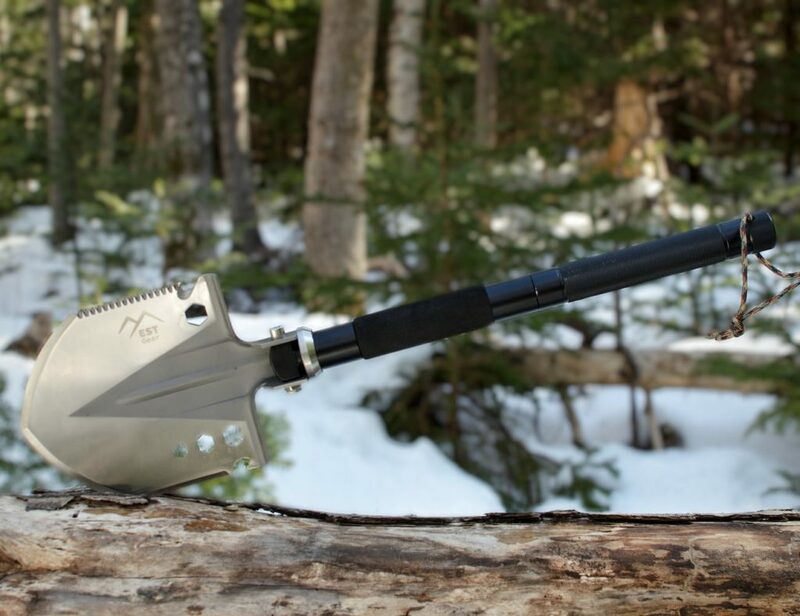 Designed specifically for men, this accessory offers a place to rest your everyday essentials. 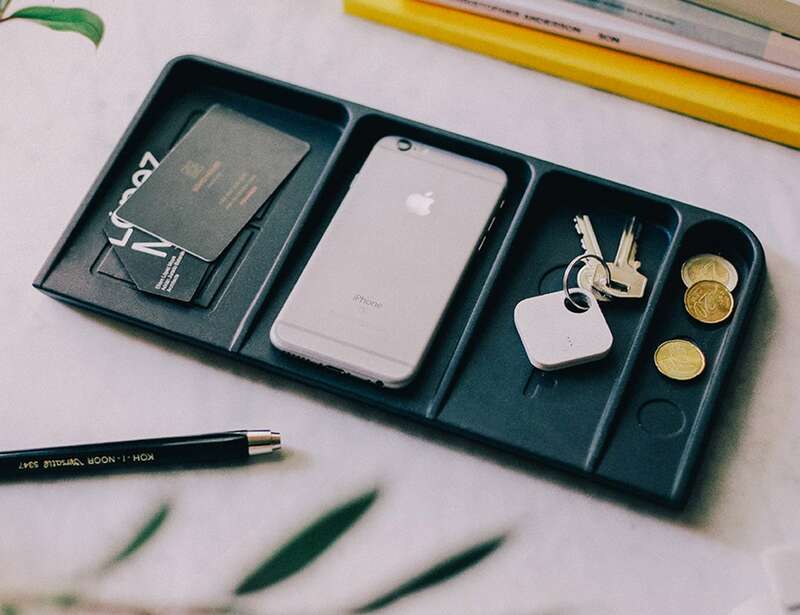 Likewise, the Le Videpoche valet tray comes with four useful compartments to keep your belongings separate and organized. 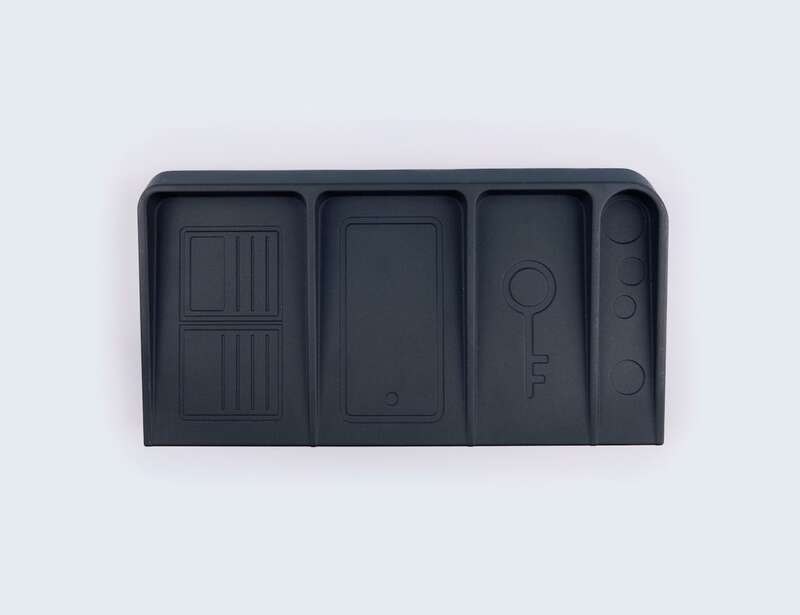 The compartments offer a place for your phone, wallet, keys, and coins. 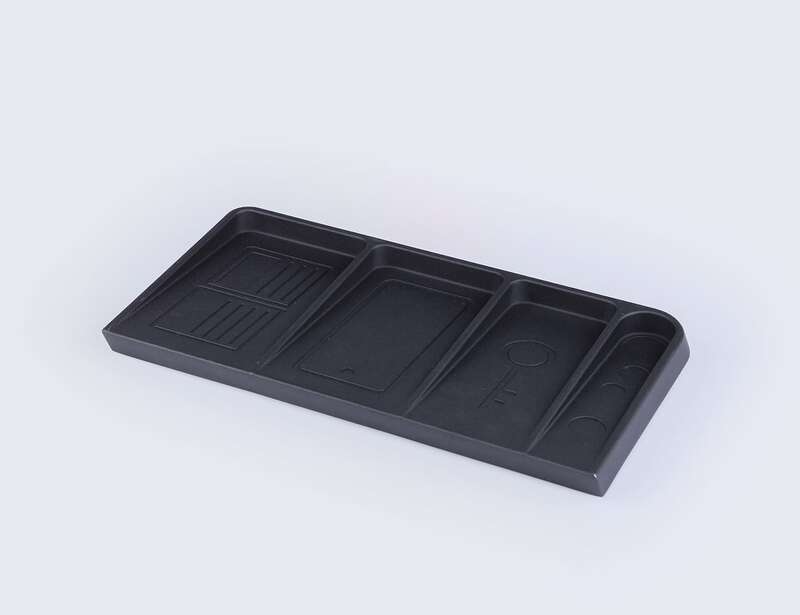 Made from metal, the storage tray comes in two finishes including Black Metal and Concrete. 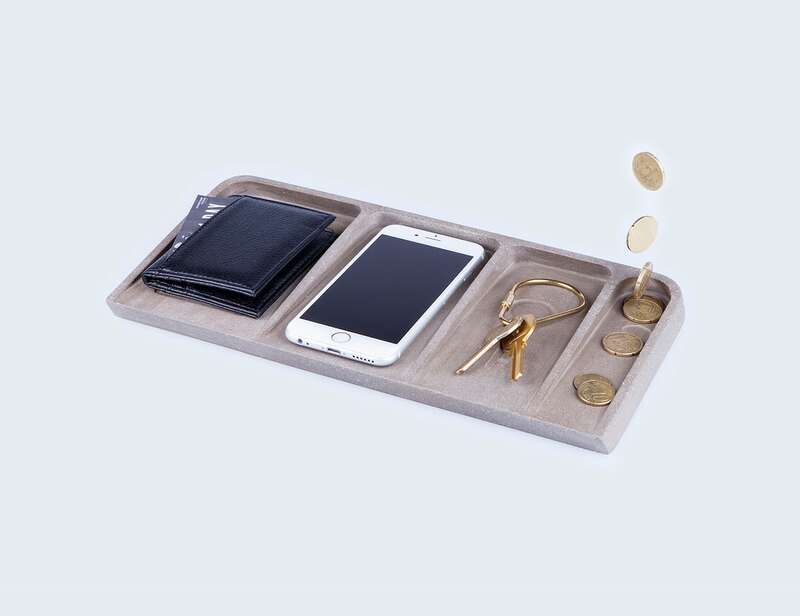 Measuring 12.99 x 1.37 x 7.48 inches, the metal valet tray seamlessly fits on your bedside table or counter. 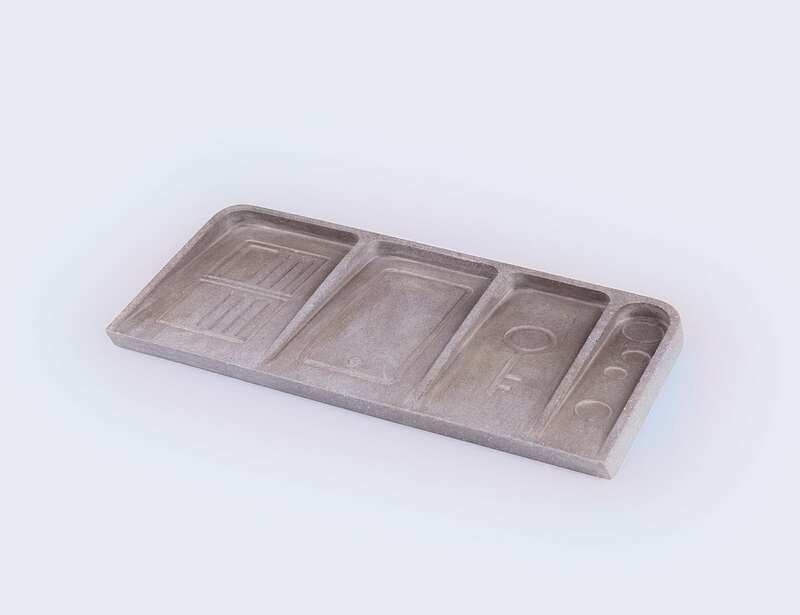 Featuring a minimal design, the tray suits any type of decor. 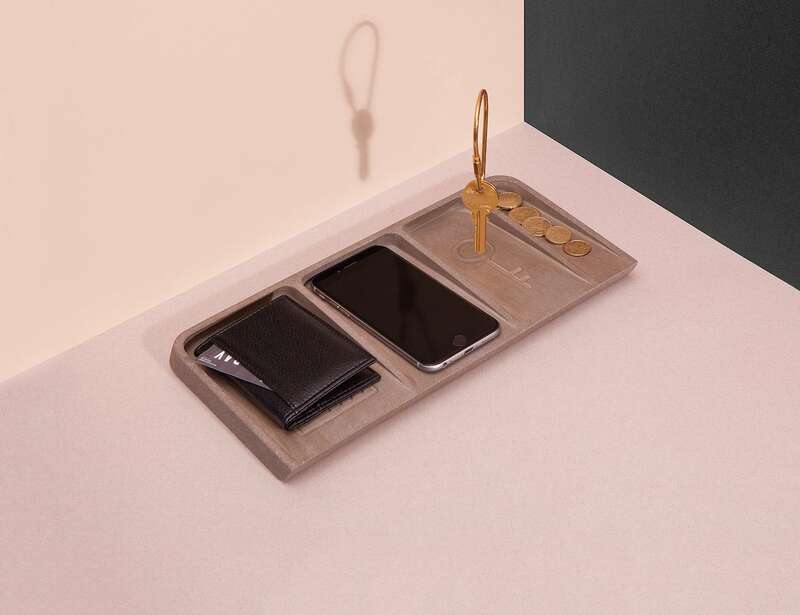 With the Le Videpoche Metal Valet Tray, you can come home, empty your pockets and know exactly where your belongings are.